One of these types of tubing is called seamless tubing, where extrusion or rotary piercing is used during the production process. Seamless Tubing – Block Steel Corp.
A seamless pipe is created by drawing a solid billet over a piercing rod to create a hollow shell. 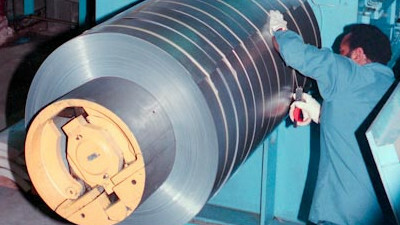 Most seamless tubing is pulled through a die that reduces its diameter in the final stages of manufacturing. This yields a strong product, and without any welding lines you are left with a tube that is less susceptible to corrosion and has no weak points in its structure. To control the wall thickness, a plug is inserted into the tube while it is being drawn. This plug moves through the tube as pressure is applied, keeping the wall thickness even throughout the tube. Seamless tubes are used in almost every industry, from construction to agriculture to healthcare. Many hand rails and guardrails are simply pieces of seamless tubing. A seamless tube is light and rigid so that it can easily be cut and installed in a wide variety of applications. Steel is often used to create seamless tubes, but they are also made out of ceramic, fiberglass, other metals and even concrete or plastic. Obviously plastic is the most malleable of the materials, and this is most commonly used for applications where some flexibility in the tube is required. Seamless tubes can be bent during manufacturing to create 90 degree angles if they are being fitted to a particular product. Plastic seamless tubing is becoming much more popular because it is light weight, chemical free and non-corrosive. It can easily be cut and connected for a wide variety of uses. Tube sizes are measured based on the diameter on the outside of the tube. As pipes have improved, the walls have become thinner while still remaining strong, creating a larger internal diameter which allows for more flow. The primary advantage of using a seamless tube is that it is able to withstand a much greater amount of pressure because of the equal strength around the circumference. The seam in a traditional welded tube makes it much more vulnerable to bursting when high pressure volumes pass through it. Seamless Tubing Tubing is used to move fluids or to protect electrical wires and cables housed within it. There are many different kinds of tubing and methods for manufacturing tubing.